Thank you for submitting your item for appraisal. 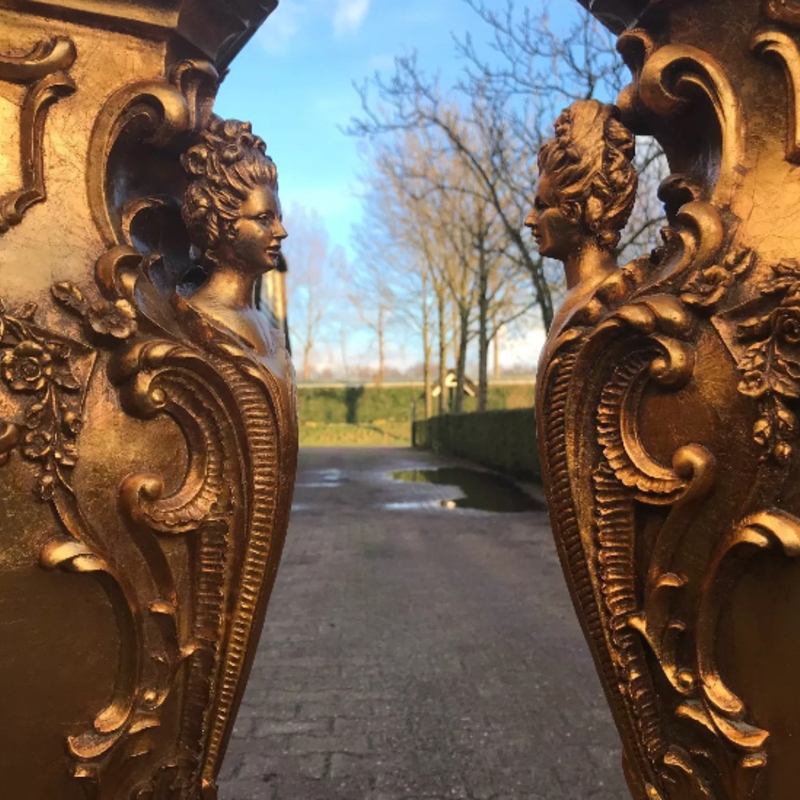 This appears to be a Pair of 21st century gold colour sheet metal "gilded" Pedestals of Rococo Inspiration, each with marble top, flared and ornately embellished stem with rocaille and Marie Antoinette busts mounted corners, acanthine scroll legs, of either chinese or egyptian recent production. The estimate is based on auction results in well advertised auctions.